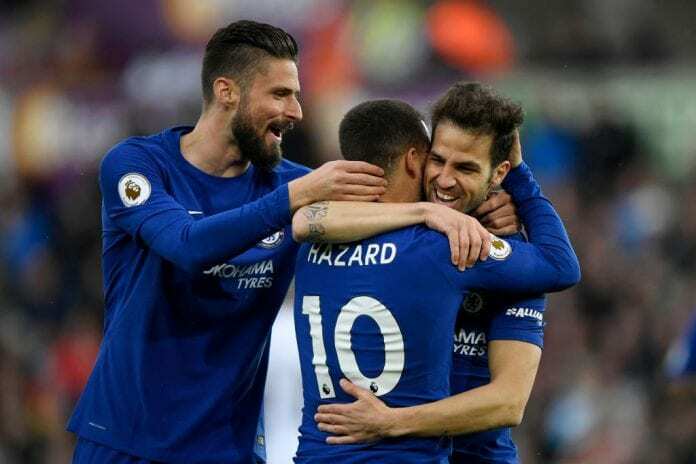 Eden Hazard, Ross Barkley, and David Luiz have paid their tribute after Cesc Fabregas completed his move from Chelsea to AS Monaco. After four-and-a-half-year at Chelsea, Cesc Fabregas on Friday joined French Ligue 1 club AS Monaco on a permanent deal. The midfielder won two Premier League titles, one FA Cup, and one League Cup at Stamford Bridge, and will be missed by fans and especially teammates. “I can say that I was lucky to play with him. Since the beginning when he came we won the Double together,” he told the Chelsea website. “Top guy on the pitch and off the pitch. A great friend of mine. I just have admiration for this guy. “Day to day you see Cesc in training and he’s a fantastic player. You learn things from him in training and on a matchday. “I think Cesc is one of the best players to have played in England for many, many years.